Haven’t we all heard the saying: big cities harbour bigger dreams? 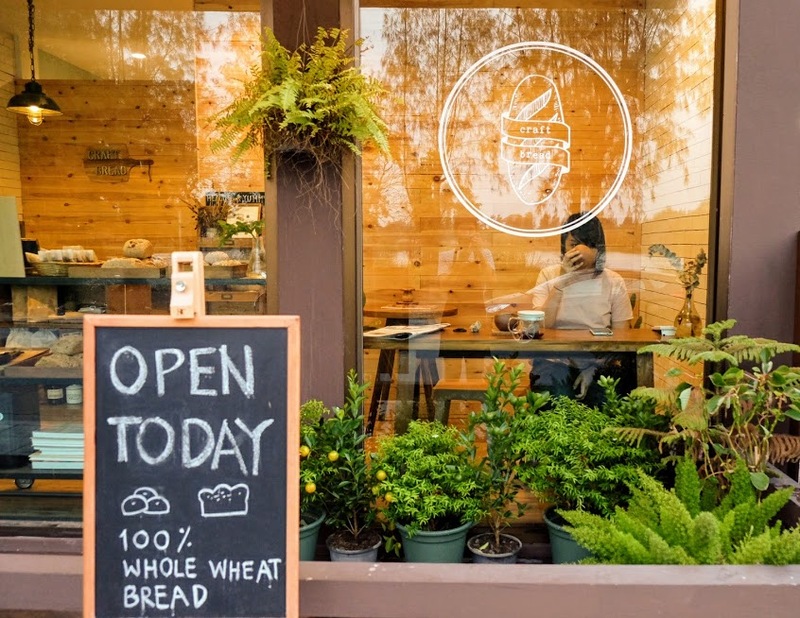 So then, what made this couple set up a beautiful bakery in a tiny village about 30 kms away from Thailand’s biggest business hub, Bangkok? 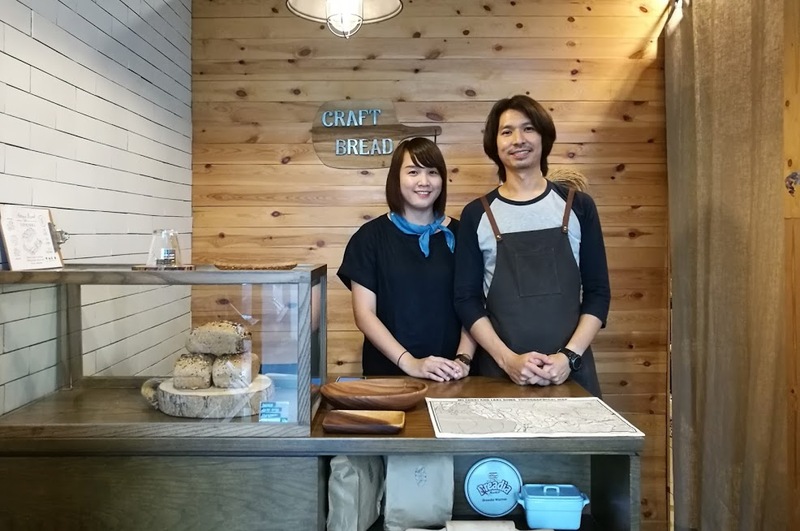 We’ll let Angsumarin Lauruengtana ( age 35 ) and Nikorn Sripongwarakul ( age 35 ), founders of The Craft Bread, speak for themselves. Angsumarin Lauruengtana ( left ) and her husband, Nikorn Sripongwarakul ( right ) – founders of ‘Craft Bread’. Tell us how it all began : how you met, and how you guys started Craft Bread. Angsumarin : We met at Thammasat University in Bangkok, Thailand, where we both majored in Film and Photography. After we graduated, Nikorn worked in the film industry as director of photography, and I joined the airline industry as a flight attendant. We were friends for many years before we became lovers, and we finally got married in 2010. My husband Nikorn, later joined me to build ‘Craft Bread’ together. I began with sending out my handmade bread to friends and family for feedback. I then began posting about my new venture on my social media. Honestly, the feedback surprised me! More people began responding with encouraging words and asked for more bread.Eventually, we opened shop in 2014 as an online outlet, and in 2015 we launched a brick-and-mortar shop at our village, Sammakorn. It’s a beautiful, tiny village in Thailand’s Bangkapi district. Why baking? What is so special about it ? Angsumarin : It all happened by chance, when I was looking for something that will make me happy and healthy – physically & mentally. I had worked as a flight attendant for 10 years, and had to quit that job because my health problems had begun affecting my career. That was a phase when I felt very sad and lost. So, I looked for something to do that could heal me. I found out about a workshop to learn how to bake bread, so I enrolled myself there. That was when I realised how much I loved baking. The thought of making bread reminded me of my childhood days. My dad and I loved going out together to buy fresh bread, when I was a kid. After that workshop, I realized just how much I loved baking bread. It also made me realise how I can spread joy to people around me through my freshly baked bread. 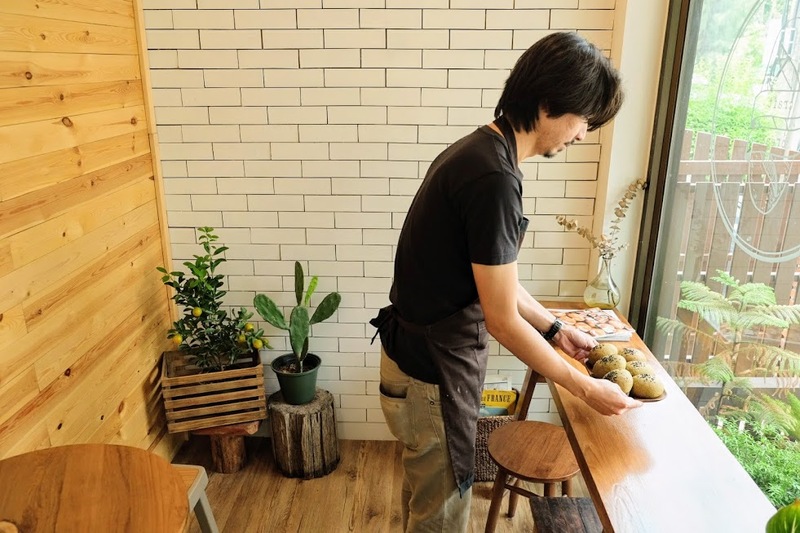 What were the challenges you faced – starting this bakery from scratch. 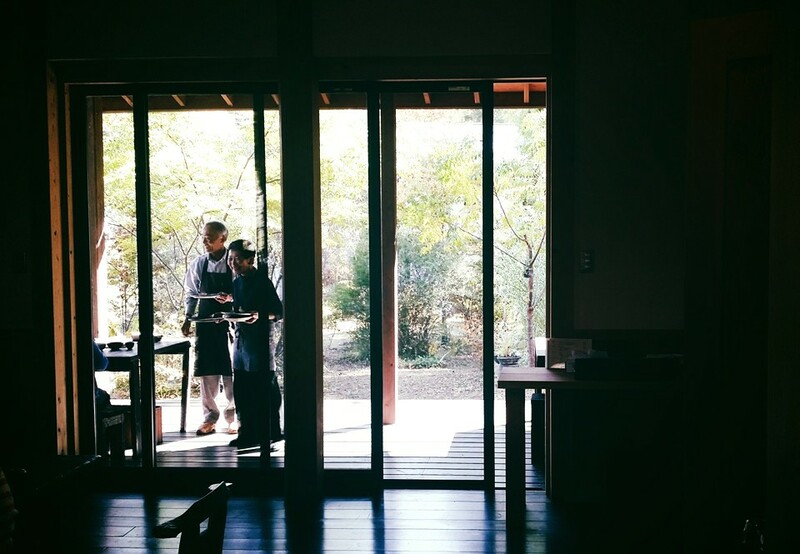 Angsumarin : One of my biggest personal challenges was getting work done despite my health problems. Also, I had to learn how to run a business, how to bake different kinds of breads, and delivering fresh bread to our customers on time. Most importantly, I had to learn to balance handling the business and my health. 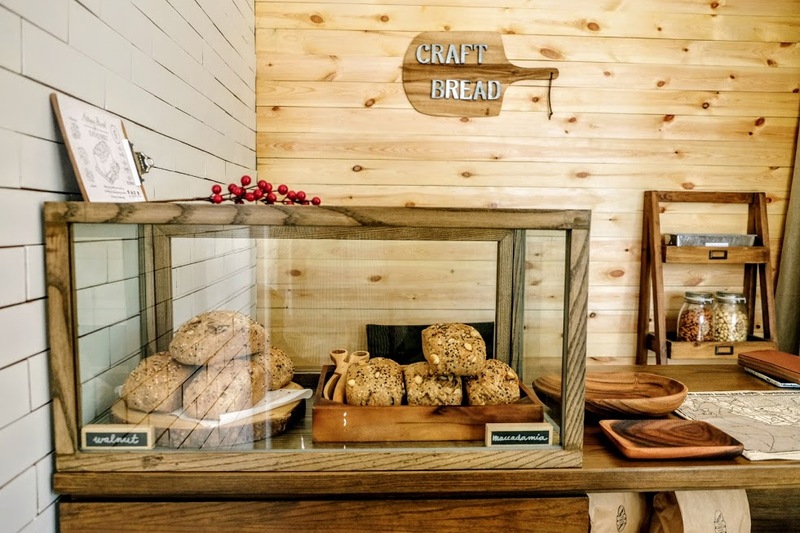 Running Craft Bread has taught us that the F&B business relies heavily on how one treats people. Hence building a good relationship with every customer is important. Eventually, these relationships transform into long lasting friendships – which in itself, is a reward. So, I’ve learned that you don’t have to own a big business to be happy. One just got to do one’s best and good things will come to you. How have your Thai roots inspired your venture? Nowadays, we see many people around us (in Thailand) with health problems. It has put in an important thought into our minds. We are all now concerned about what we consume, how we cook our food and the ingredients we use to cook it. That’s why, at The Craft Bread, we use organic ingredients to bake our bread. We hope to help our customers’ endeavour to remain in good health. Also, the Thais eat rice in every meal, so we decided to try to inculcate this culture into our bread. 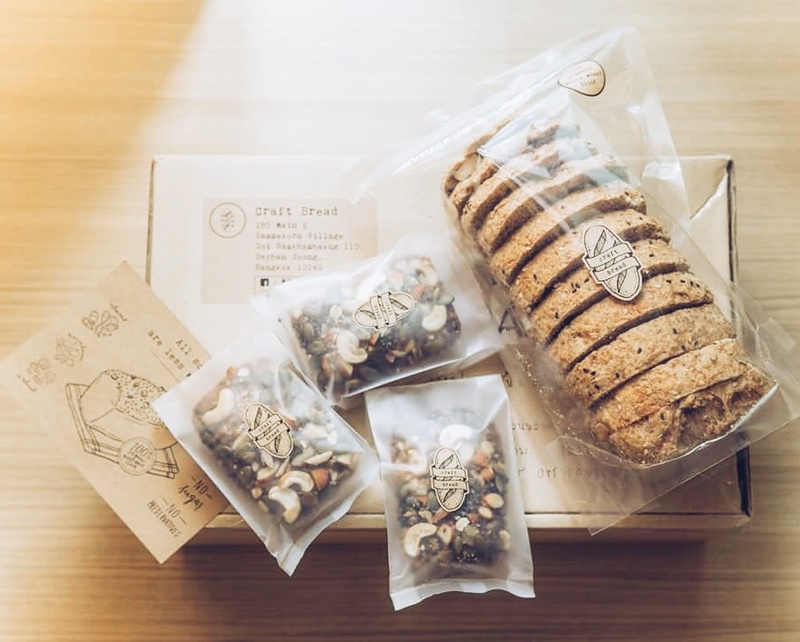 We’re trying to source local ingredients like the traditional Thai rice variety of Hom Dum to create new products such as rice bread or 100 percent whole wheat bread that would suit the local Thai taste palette. Follow The Craft Bread on Facebook and Instagram! and on Saturdays from 10.00 to 18.00.